Given n nodes labeled from 0 to n - 1 and a list of undirected edges (each edge is a pair of nodes), write a function to find the number of connected components in an undirected graph. Given n = 5 and edges = [[0, 1], [1, 2], [3, 4]], return 2. This problem can be solved by using union-find beautifully. Initially, there are n nodes. The nodes that are involved in each edge is merged. 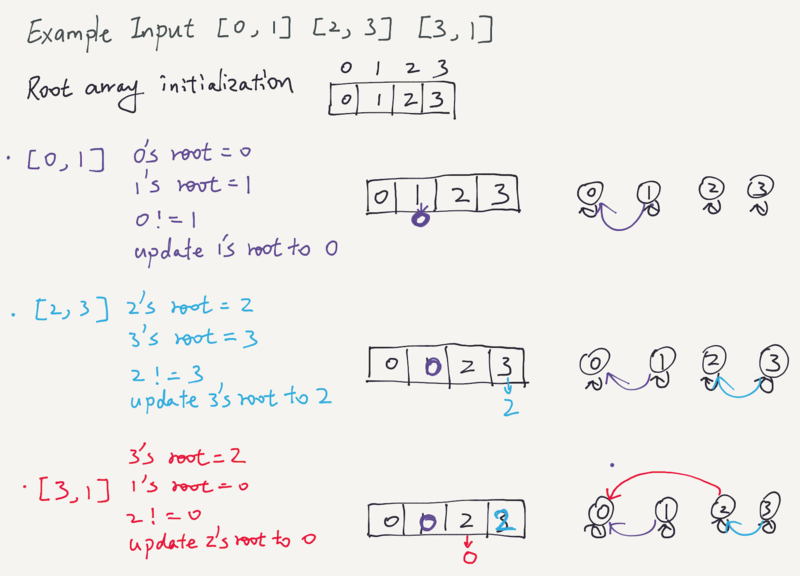 There are k loops and each loop processing the root array costs log(n). Therefore, time complexity is O(k*log(n)). Can someone explain the logic of getRoot(int arr, int i)?